Tajmień, tajmen (Hucho taimen) – Słodkowodna ryba, największa i najstarsza z rodziny łososiowatych (Salmonidae), czasami klasyfikowana pod nazwą Hucho hucho taimen jako podgatunek głowacicy. 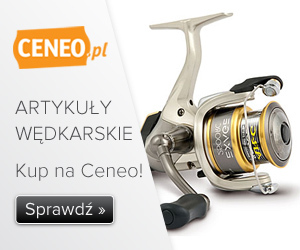 Wysoko ceniona w wędkarstwie sportowym. Występuje w dorzeczu górnej Wołgi, Uralu i Peczory. Licznie pojawia się także w rzekach Syberii oraz w rzece i dorzeczu Amuru. Kuzyn głowacicy, różni się od niej liczbą wyrostków skrzelowych na pierwszym łuku skrzelowym (głowacica ma 16, a tajmień 11 bądź 12), osiąga również większe rozmiary (może dorastać do 2 metrów i ważyć 100 kg). The taimen (Hucho taimen) is one of 5 species in the genus Hucho, which includes Hucho hucho, H. perriyi, and H. ishikawai, and H. bleekeri. A very large fish, it once attained a maximum of over 2 meters and 100 kilograms. In recent times reports of fish above 50 kilograms and 160 centimeters are rare. Taimen occur predominantly in river environments, preferring fast moving rivers and streams. The taimen is distributed from the Volga and Pechora River basins east to the Yana River in the north and that of the Amur River in the south. On a larger scale, this includes parts of the Caspian and Arctic drainages in Eurasia and portions of the Pacific drainage in Mongolia and Russia (the Amur River). In Mongolia the taimen is found in both the Arctic and Pacific drainages, specifically the Yenisei, the Selenga/Lena, and the Amur River Basins.